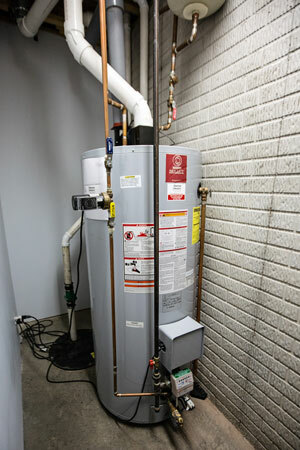 Ray’s Heating & Air is now offering a water heater maintenance tune-up special! See our specials page. Did you know that most Water Heaters have a fresh air intake that must be cleaned? Ray’s will also inspect the tank for a potential crack or water leak. Ray’s Heating & Air also sells and installs water alert alarms. Our system will alert you to the smallest amount of water leakage with a 110db sounder. The alarms can be placed in the basement, utility room, kitchen, laundry room, water heater, furnace or a bathroom. 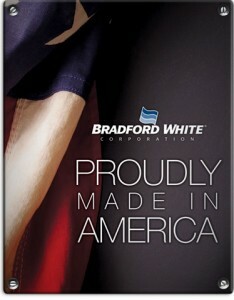 Bradford White Corporation, “I believe American made” is more important than many people realize. Bradford White Corporation is headquartered in Ambler, Pennsylvania with manufacturing facilities in Michigan, New Hampshire and Minnesota. Bradford White Corporation has been supplying customers for over 20 years and providing those important American jobs. On April 16, 2015, there will be significant updates to water heater energy factor (EF) requirements as the result of updates to the National Appliance Energy Conservation Act (NAECA). These new requirements call for higher Energy Factor (EF) ratings on virtually all residential gas, electric, oil and tankless gas water heaters. According to the US Department of Energy website, standards mandatory in 2015 will save approximately 3.3 quads of energy and result in approximately $63 billion in energy bill savings between 2015-2044. 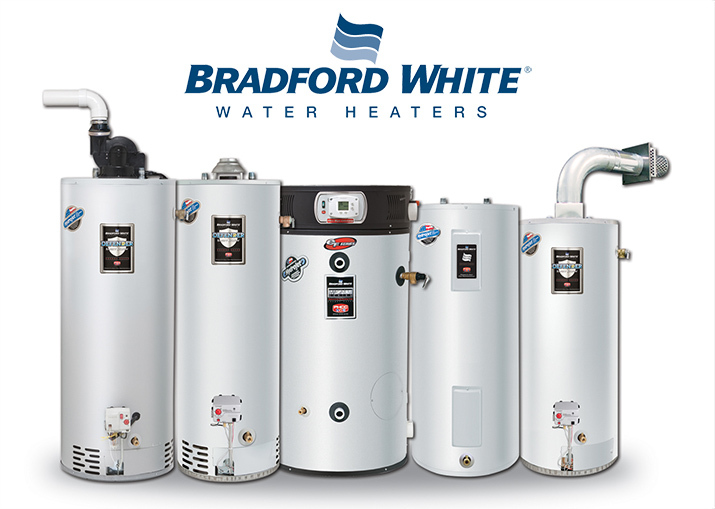 Bradford White Water heaters are manufactured in the U.S.A. , all sizes carry a 6 year tank and parts warranty. The other features are the Vitraglas, a porcelain lining formulated and applied to the interior of the water heater tank. It provides unsurpassed protection against failure. The Bradford White “Icon” ignition system provides a new standard in gas safety. The Bradford White water heaters come in gas or electric and in a variety of sizes.